With the introduction of the all-new Flyacht and the Princess R Class with Active Foil System, America's Cup foiling technology has been taken to the next level. Watching the America’s Cup foiling catamarans fly is not for the faint of heart. When they really get going and try to negotiate a tight turn, I tend to end up about 2 feet from my television screen, bent at the knees with my hands on my head, screaming, “Don’t go over! Don’t go over!” The exhilaration in my own living room is incredible. I can only imagine how intense it feels to be aboard the boats. The good news for people like me is that America’s Cup foiling technology is now going mainstream. 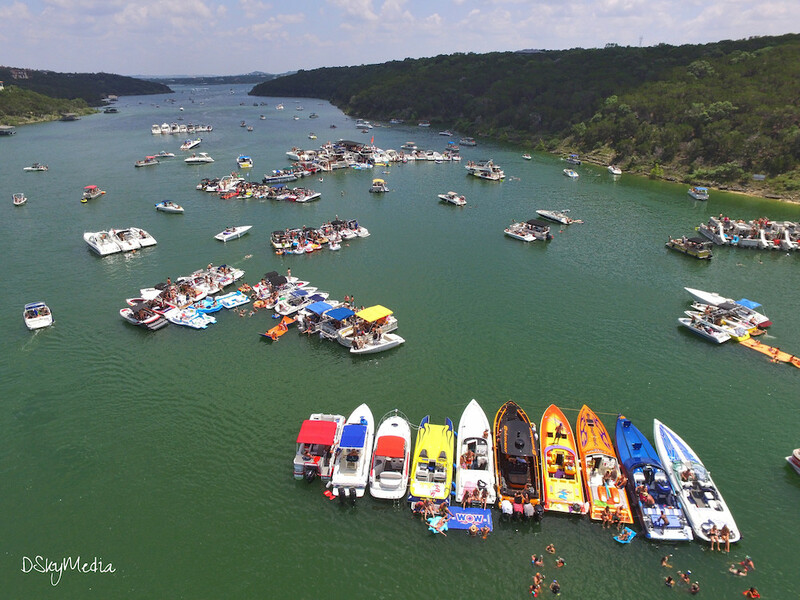 In the past few months, sailing and powerboat designs have been unveiled that promise to bring a piece of the excitement to the production-boat market. 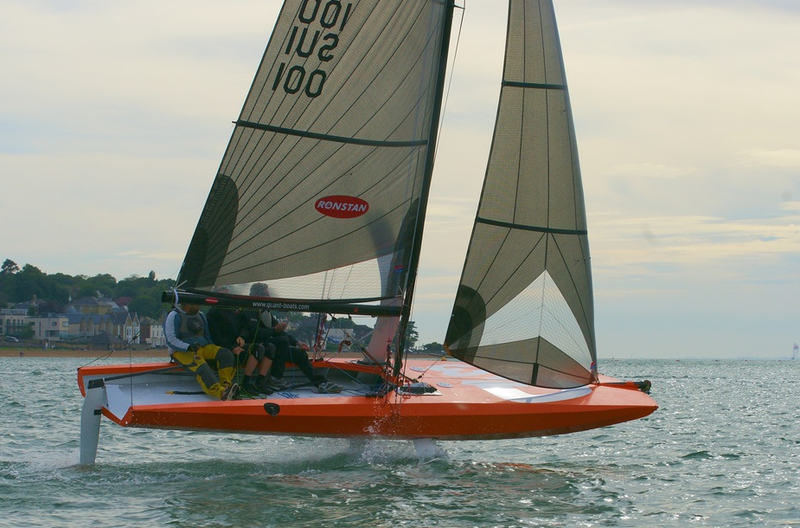 First is the Flyacht, a 21-foot foiling sailboat design from the renowned design firm Briand, which has contributed to six America’s Cup campaigns. 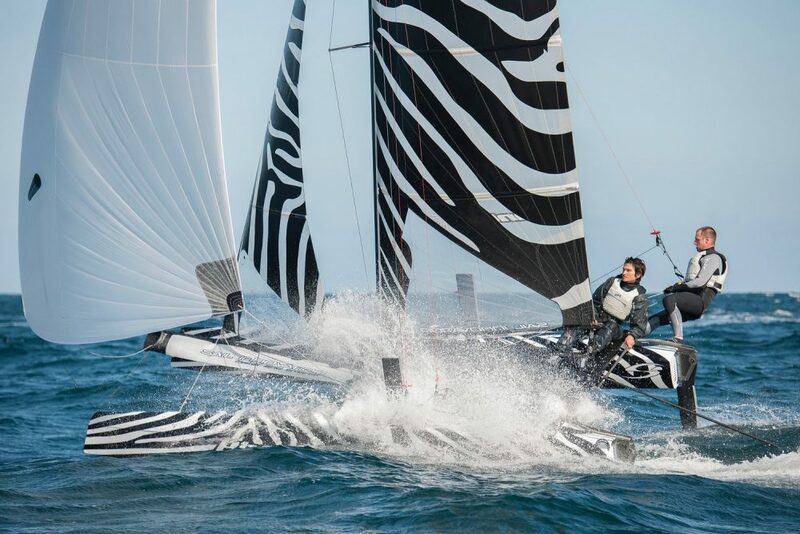 Inspired by the AC75 class of foiling monohulls that are scheduled to debut in the 2021 America’s Cup, the Flyacht replaces the traditional keel with a pair of canting, ballasted T-foils. The Flyacht is designed for just two people to handle, and to self-right in case of a capsize. Like the AC catamarans, it will be able tack and gybe on the foils. Also new to the marketplace is the Princess R Class. 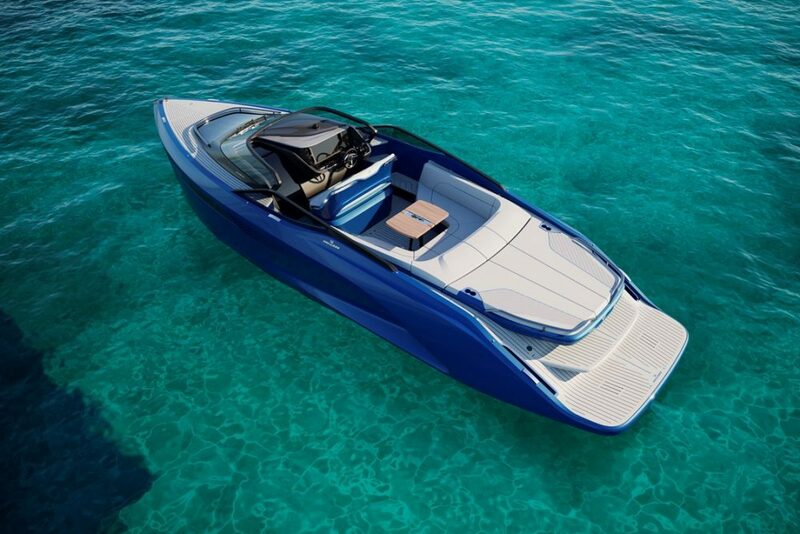 The all-new R Class features the unique Princess Active Foil System (AFS) and is said to deliver the fastest and most efficient Princess boating experience to date. It’s built with what the builder is calling its Active Foil System (AFS), designed in partnership with BAR Technologies of America’s Cup and Sir Ben Ainslie fame. 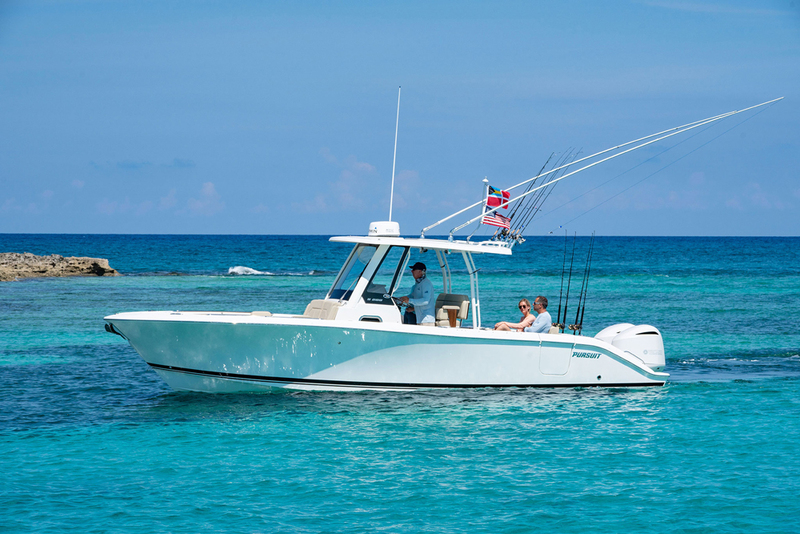 The 35-foot Princess R35 is the first model in the R Class, and is scheduled to debut at the boat shows this fall. 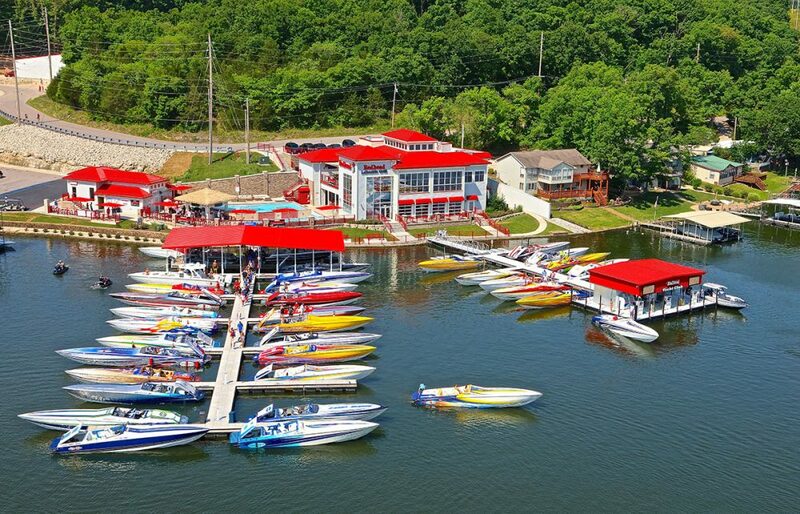 Its hull is built of carbon fiber, and the foils reduce drag while enhancing the ability to make tighter turns. Those design elements, along with V-8 engines, are expected to push the R35 to a top speed of 50 knots—making her the fastest Princess Yachts model ever. I don’t know about anybody else, but to me, the idea of tapping into America’s Cup technology for everyday fun on the water is, on its own, enough to get the heart rate up. Look for more information about the Flyacht and Princess R35 at this autumn’s boat shows.